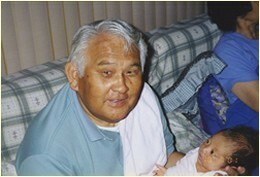 Masaru (Mas) Yamasaki was born in Sacramento, California. 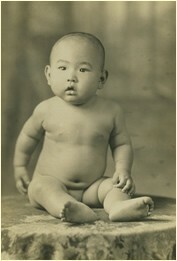 His parents were both raised in Hiroshima, Japan, the site of an important event in world history. Do you know which one? Mas’ father ran a tofu store. Tofu is pressed soybean curd and it’s an important part of the Japanese diet. Before Pearl Harbor was attacked on December 7, 1941, Mas was just an ordinary American kid who happened to live in a mostly Japanese neighborhood called Japantown. 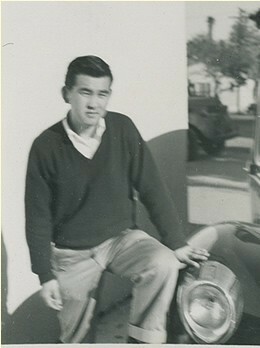 He went to school, played sports with his friends and enjoyed Western movies and collecting baseball cards. After Pearl Harbor, the rumor started that anyone of Japanese ancestry was going to be taken away. At first Mas heard a rumor that only the parents would go, and he worried what would happen to him. As it turned out, Mas, his parents and his six brothers were all forced to abandon their home and tofu shop and everything they owned, to report for evacuation to internment camps set up by the government to house Japanese-American citizens on the West Coast. Mas’ family was eventually sent to Tule Lake Relocation Center, a dry, desolate camp in Northern California. They lived there in small “apartments” inside army-style barracks. The camp was surrounded by barbed wire fencing watched by soldiers in guard towers who aimed machine guns into the camp. Despite the hardships of camp life, Mas kept his spirits up by playing basketball, baseball and football with his friends and going to dances and movies. At the end of the war, the Yamasaki family had nowhere to go. Then a friend of his father’s invited them to stay with his family in Berkeley, California, until they could find jobs and a home again. Mas was in high school at the time. 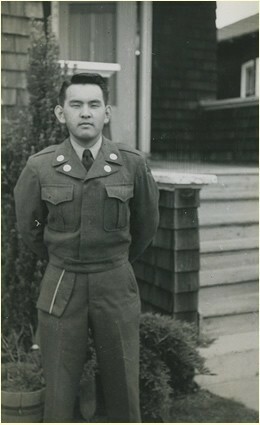 He later served in the army in the Korean War, where he received a Bronze Star, and then went on to college at San Francisco State and became a businessman, father and grandfather. Mas passed away in February 2015 at the age of 85. One of my favorite stories from Mas that didn’t make it into The No-No Boys is this one: One summer, he and some of his friends signed up to work one of the farms near the camp. Being a city boy, Mas knew nothing about farming. And being a prankster, he spent much of his time tossing potatoes at his friends. On the hottest days, when the farmer would leave in his truck, the boys would ditch work and jump into the nearby creek to swim. When the lookout would yell that the farmer was coming back, Mas would leap into his clothes, soaking wet, and hustle back to the fields.